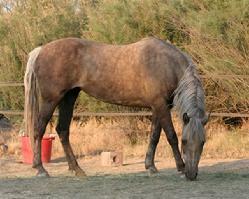 This page is set aside to recognize all those wonderful horses that have gone on to new and amazing homes. Our hat is off to every horse and human that has made the connection and are now a family. 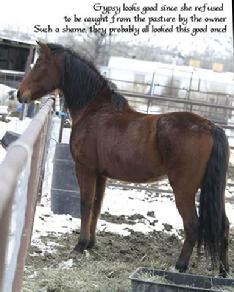 Thank you, adopters, for giving these horses the life they so justly deserve! 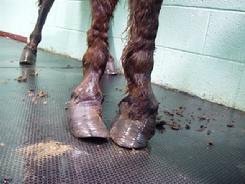 And thank you, horses, for giving us humans a richer, happier life too! Congratulations to Annette & Family! 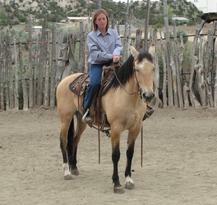 Congrats to Nicole for giving our wonderful Cowgirl a new home! Congratulations to Latisha for adopting Panache! 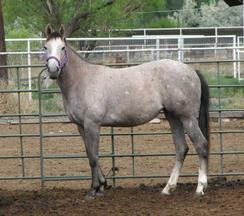 Meeko, a yearling Paso, has been adopted by Penny in Aztec. 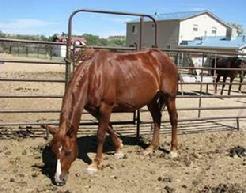 Outlaw has found a permanent retirement home! Congratulations to Michele and family in Bloomfield. Charlie and Snowstorm Sam will continue life together. Congratulations to Julia and Mike for adopting both of them! 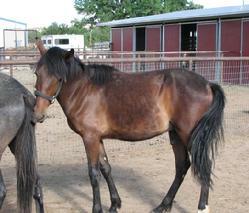 Fiona has a new home with Connie and Spirit. 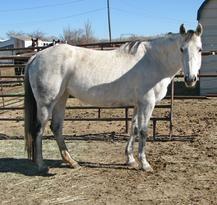 Congratulations to Connie for adopting Spirit! May you enjoy many happy miles! 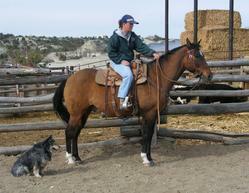 Clyde has a new home with Leann and family teaching the young ones to ride. 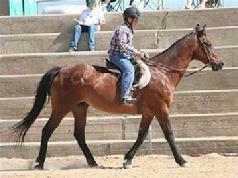 Congratulations to Nancy for turning Sweetie into a riding horse! 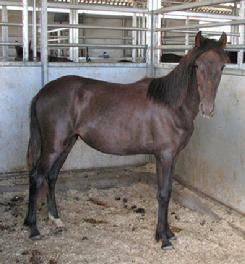 Fancy, along with Chiquita and Tucker, has been adopted by Brett and Maria! 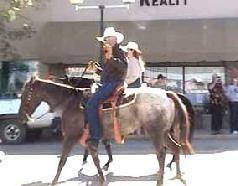 Congrats to all - Presto, instant riding club! Chiquita has been adopted by Melisa and Dan of Aztec. Frick and Frack have found a home with Robin. 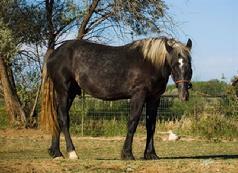 Congratulations to Penelope for finding her new home with Gwen! Santana is one very lucky guy to have a new home with Gina! 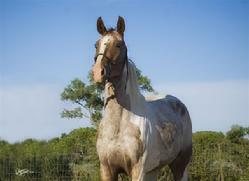 Lance has been adopted by Lonnie in Blanco - Congratulations! - Congratulations to Jackie in Bluff!! 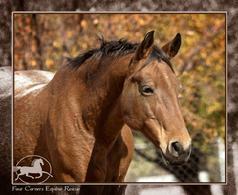 ADOPTED BY GWEN - CONGRATULATIONS! 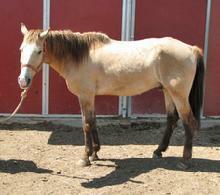 Mellow Yellow is one of 2 horses seized by the New Mexico Livestock Board in May, 2009. 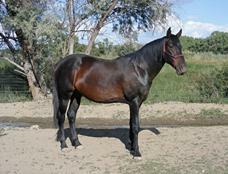 He was in better shape than his stablemate, Old Son. Scoot has been adopted by Becky in Bloomfield. Congratulations to both on a new life together! 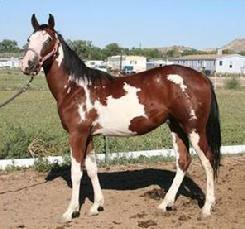 Ranger is a 2005 PMU foal. He has been adopted by Angela in Aztec. Congratulations to Ranger and Angela! 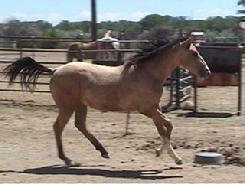 Dixie is safe and sound in her new home in Rio Rancho. 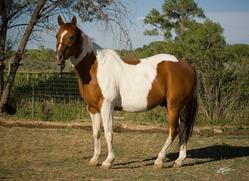 A very nice Quarterhorse/Morgan cross, she's the apple of Tricia's eye now! Congratulations to Tricia and Mike! Look at this girl now! 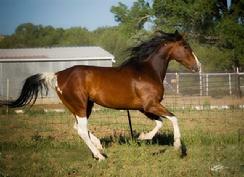 In her new home with Suzan, Sox has blossomed into a fine looking horse. 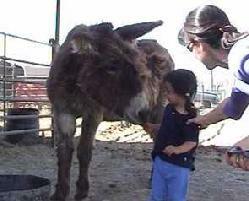 Once starved and neglected, she's learning to interact with people. Congratulations to Josh and Mary Beth for adopting Toby! 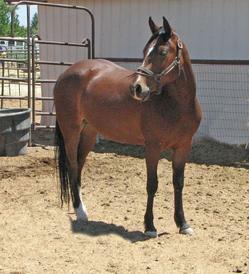 2-2009 Nova, a 6 year old QH mare, went home to live with her family and be the riding partner of a young man just learning about horses. 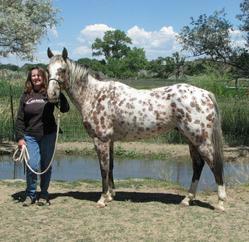 A 4 year old Appaloosa gelding adopted by Jordan of Albuquerque. Under Jordan's careful hand, Rio has become a successful show horse! This is truly a match made in heaven. 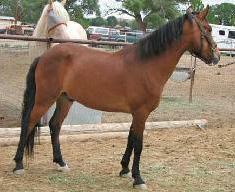 ADOPTED by Jerry in El Paso Congratulations! 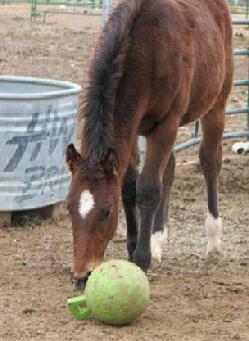 ADOPTED BY STACEY FOR HER LITTLE BOY - CONGRATULATIONS! 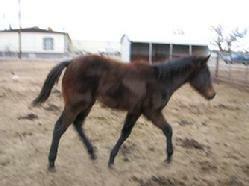 ADOPTED BY ANNETTE IN AZTEC - CONGRATULATIONS!! 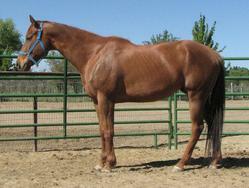 Stinker is a 7 year old Arab/Quarterhorse cross, standing about 14.1 hh. She has had 30 days of professional training, although it's been a year. 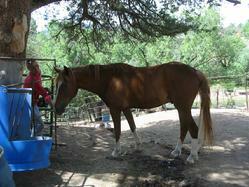 She leads, loads, stands for the farrier. 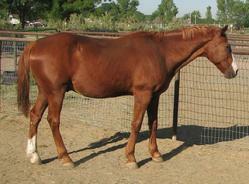 Stinker has been handled a lot, and is a kind and gentle horse. CONGRATULATIONS RASHEL ON YOUR ADOPTION OF BO! 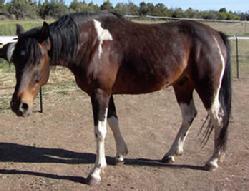 ADOPTED - CONGRATULATIONS TO MAGGI IN PAGOSA SPRINGS! 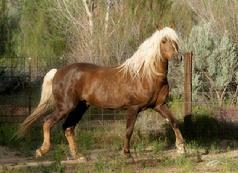 It was through our involvement with Nick, our 2002 PMU from Canada, that Four Corners Equine Rescue was formed. 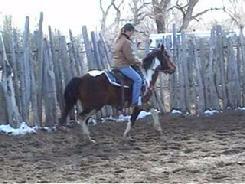 Chili is a 2004 PMU gelding. 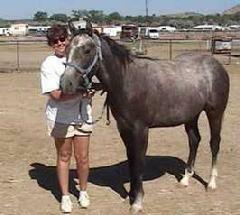 Adopted by Patti in 2006, and living happily ever after! 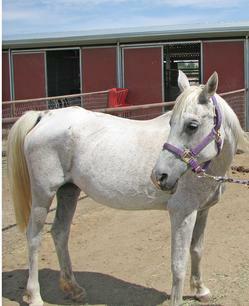 Frosty was caught in the PMU herd downsizing in 2004. 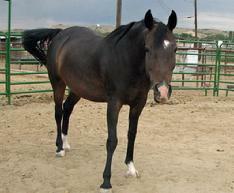 FCER brought her to New Mexico, and she was adopted by Doc and Shirlee in 2005. 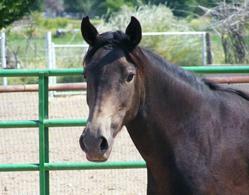 Adopted by Jennifer in Farmington - Congratulations! 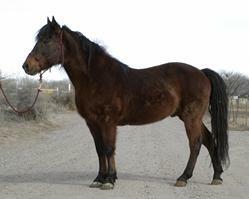 Gypsy - part of the Morgan herd confiscated by the NM Livestock Board. Gypsy will never know hunger again. Adopted by Doc and Shirlee in Aug. 2005. 9-30-06. 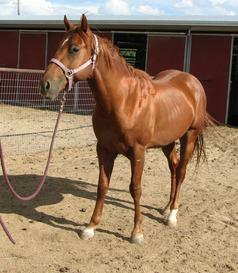 Chester has been adopted, and lives a great life with his Mom, Linda, who loves him dearly. 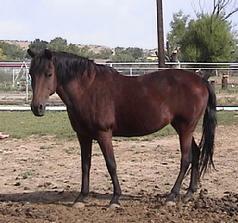 Beauty has been adopted by a lady in Aztec. 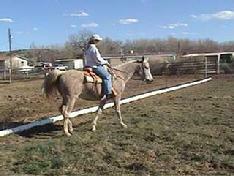 She'll be giving a young lady riding lessons, and babysitting some high powered sport horses that come in for training. What a life! 10-30-06. 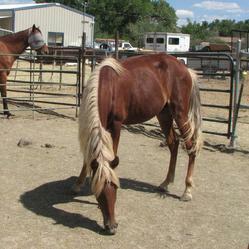 Rhett has found a home with a family that lives outside of Durango, Colo. 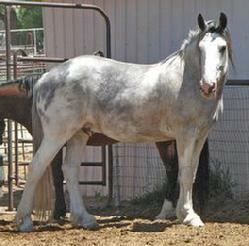 Originally from Tennessee, Rhett and his partner, Gunny: soon found themselves in need of a home. And now Rhett has one that cherishes him. 4-08-05. 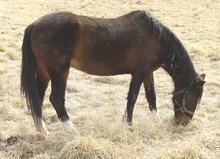 Fanny, matriarch of the Morgan herd that was rescued in December 2004. 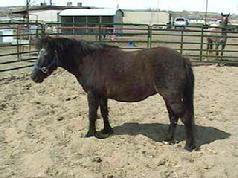 Fanny is retired and well cared for by her new person, Sue, of Farmington. 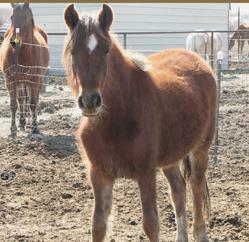 FCER helped find Arrow a home. 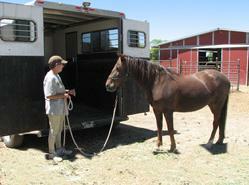 On 7/15/07 Bill drove to Star Valley AZ to take this gelding back to his new home. Congratulations to Bill, Jody and Rachel! We wish you many happy trails. 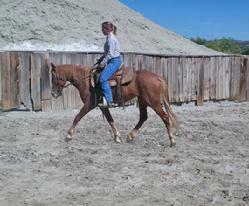 Annie, our wonderful 27 year old mare, has now moved on to help another young rider. 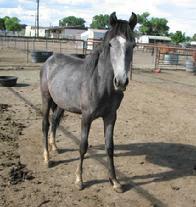 She was adopted by a family in Los Alamos, who think she's just the best horse you could every ask for! 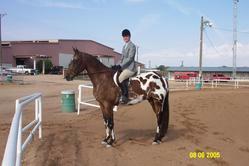 Gunny, a Saddlebred gelding originally from Tennessee, was adopted by Kate on June 15, 2007.